Evacuations ordered in Holy Jim Canyon, Trabuco Canyon Recreation Residence Tract, Blue Jay and Falcon Campground areas. Firefighters faced punishing heat Tuesday as they attacked a fast-moving brush fire burning in the Cleveland National Forest near the Orange and Riverside counties divide that forced the evacuation of the Trabuco and Holy Jim community. 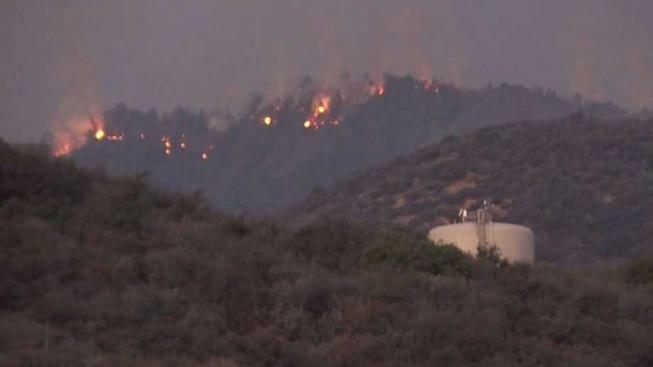 The Holy Fire, which had exploded from 75 to 700 acres within an hour Monday afternoon, was threatening recreation structures in the area of Trabuco Creek and Holy Jim Canyon roads, according to the United State Forest Service. It grew to 4,000 acres by nightfall, meaning the blaze had more than tripled in size in fewer than three hours. It was 2-percent contained early Tuesday. At least two people battling the blaze were treated for heat exhaustion, according to the Orange County Fire Authority. 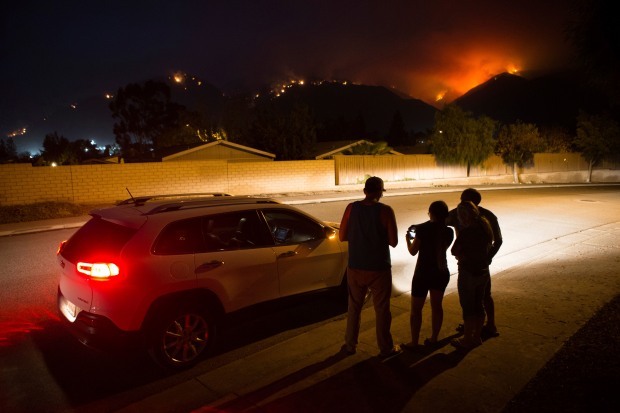 The Holy Jim Canyon, Trabuco Canyon Recreation Residence Tract, Blue Jay and Falcon Campground areas were added to the list of evacuated areas. Residents in other neighborhoods were watching hillsides and waiting for word from authorities about possible evacuations. It was located in a remote area of the Santa Ana mountains, quickly burning toward Riverside County and sending thick smoke into the air that could be seen for miles. A care and reception center had been established at Twoer Community Center at 22232 El Paseo in Rancho Santa Margarita for evacuees of the Holy Fire. The Orange County Fire Authority was assisting with the blaze, and two hikers stranded near the fire were evacuated and safe. 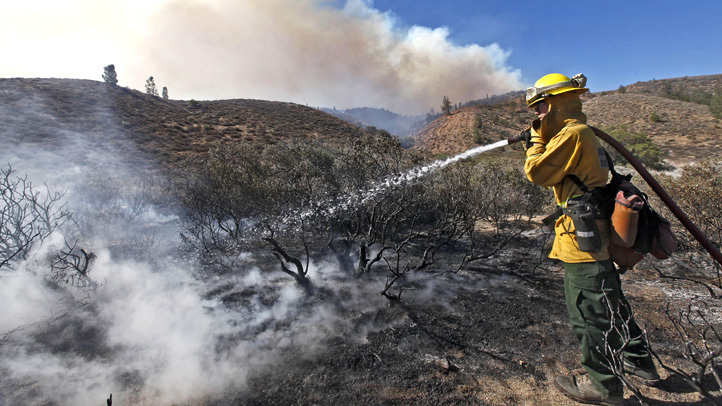 NBC4 Meteorologist Anthony Yanez said conditions during the blaze Monday afternoon were warm and dry with light winds. Anyone in the Holy Jim area affected by the blaze may call the Public Information Hotline at (714) 628-7085. Residents may also receive emergency alerts on their cell phones and e-mail addresses by registering online at www.alertoc.com. Holy Fire grows to 4,000 acres with zero percent containment. Hetty Chang reports for NBC4 News at 11 p.m. on Aug. 6, 2018. The fire is one of more than a dozen major wildfires burning in California, including the state's largest fire on record. As of Tuesday morning, there were 17 large wildfires in California. At more than 290,690 acres, the Mendocino Complex in Mendocino and Lake counties is the largest. The most destructive has been the Carr fire in Shasta County, where more then 1,070 residences were destroyed.